I’m totally obsessed with this! 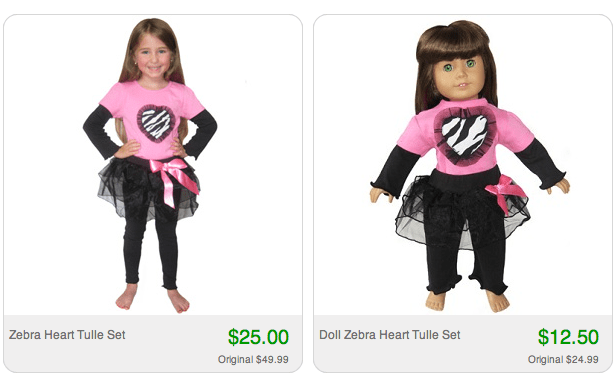 For under $40, you can get your daughter and her doll the same outfit. LOVE!!! Natalie FR-EAKS when I get her stuff like this. You only have a few days to take advantage of this sale because it’s on Totsy which means they come and go in a flash. It’s free to sign up! Click here to get started. 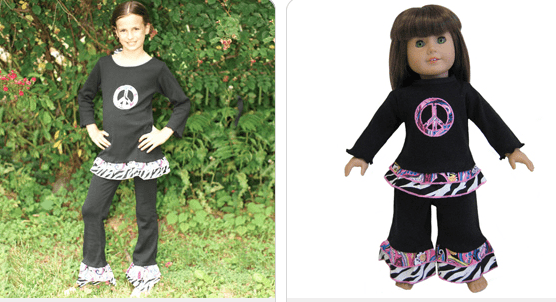 There are a TON of styles to choose from! !